Here at Guy's Auto Master Inc., located at St George, UT 84790, our staff is friendly and highly-trained when it comes to Land Rovers. Our staff uses the latest automotive service skills and technologies to ensure your Land Rover is quickly fixed and back on the road before you know it. They are waiting to work on your luxury SUV. Land Rover is synonymous with luxury SUVs that can go anywhere. They combine opulence and engineering in such a way that the brand stands for modern-day luxury like never before. Their off-road prowess is legendary, a benchmark for other luxury off-road vehicles to achieve. There are few brands that offer such flexibility as Land Rover does. 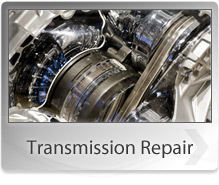 When your Land Rover does need maintenance or repair, Guy's Auto Master Inc. at St George, UT is here to help. When you bring your Land Rover to us, you will be greeted with a friendly and knowledgeable staff of experts and service center employees eager to answer all your Land Rover questions. The next time your Land Rover SUV vehicle needs any repairs or regular maintenance, be sure to think of Guy's Auto Master Inc.. We're just a phone call away. Call us today at 435-627-9212. Our friendly staff will schedule your next appointment.